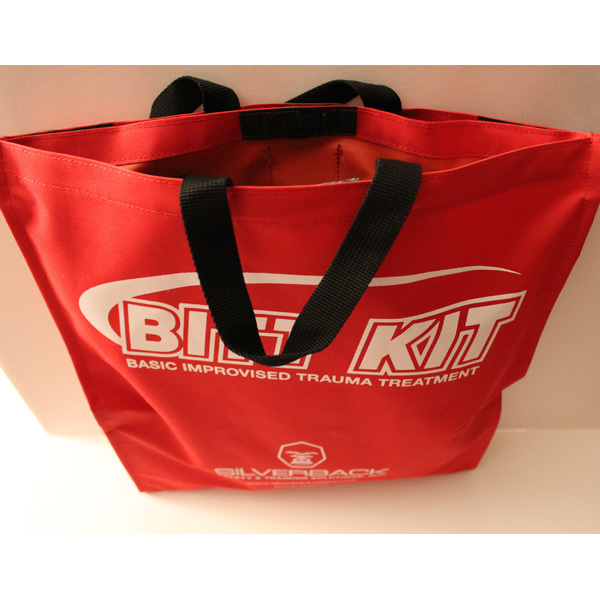 The BITT KIT is targeted directly for those everyday people who have limited emergency medical training. Law Enforcement and Fire/EMS are responding to tragic attacks faster than ever. But as fast as they respond, none will beat the person who is already on scene. 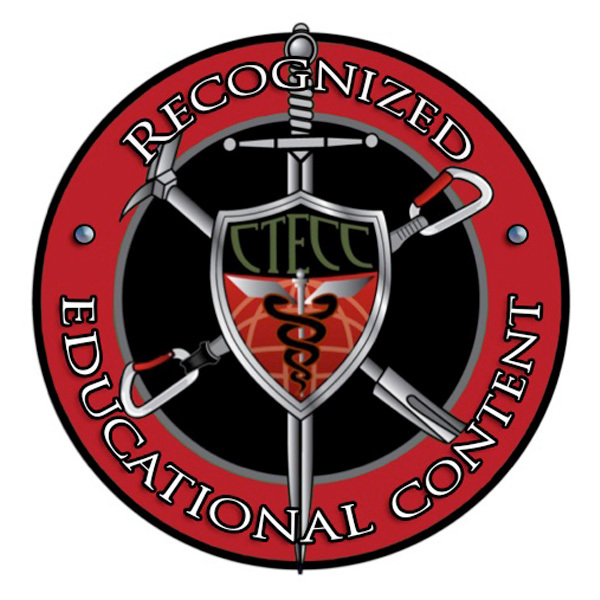 It’s the on scene teachers, students, School Resource Officers, businessmen and women who with the proper equipment and guidance can now save the life of a wounded person who otherwise may not survive without rapid medical intervention. 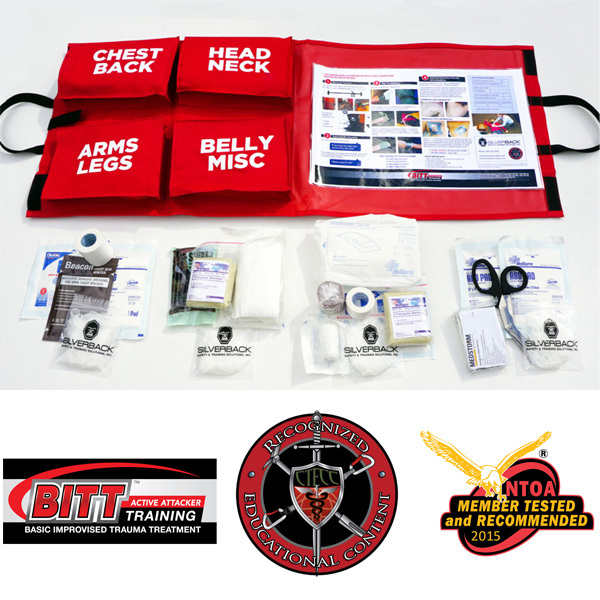 The BITT KIT is targeted directly for those everyday people who have limited emergency medical training. 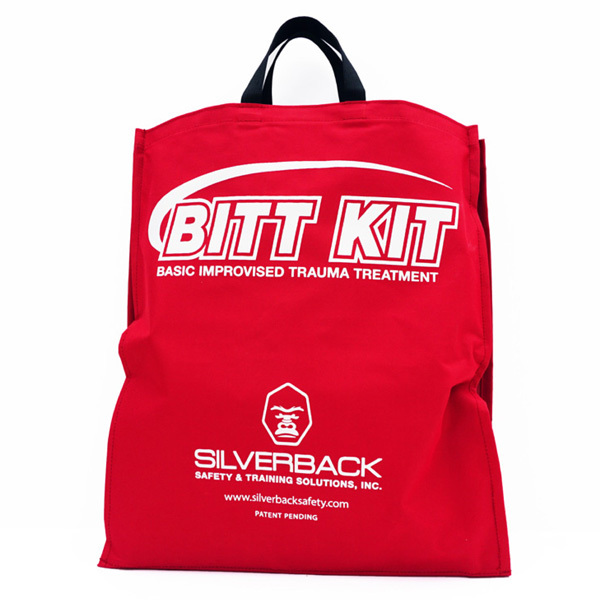 Silverback Safety & Training’s BITT KITS have been developed to aid in the treatment of traumatic injuries and assist you in saving lives. 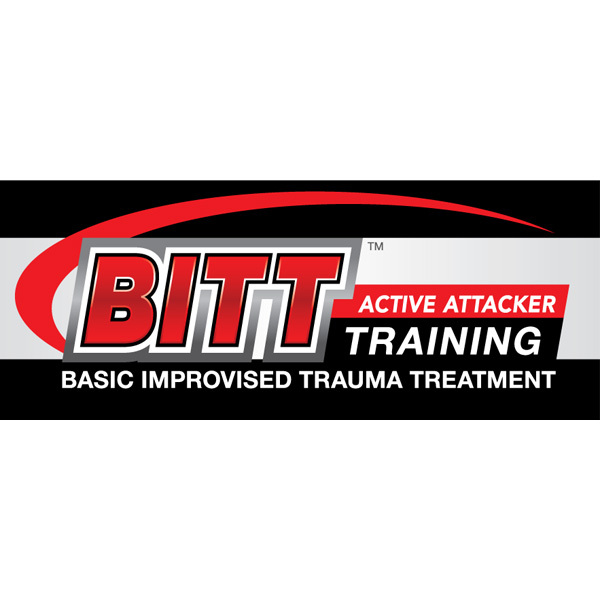 The BITT KIT has direct applications for adults and children in schools, churches, businesses, public buildings, public gun ranges who have suffered injuries as a result of an attack from an active intruder or suffered other injuries from most any catastrophic event. A person’s fine motor skills can be lost in times of high stress. With this in mind we have developed this BITT KIT to help you. There is a large removable instruction sheet that takes the user step by step with pictures on the “how to” for the life- saving treatments. The separate compartments are- Arms/Legs, Chest/Back, Head/Neck, and Belly/Miscellaneous. 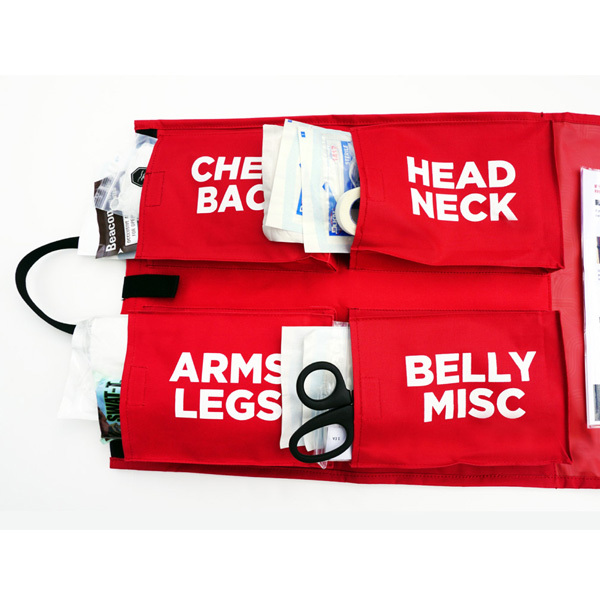 This can take away the guessing game of what to use where… Match the wounds to the pictures to the correct pockets where the life- saving gear is stored. 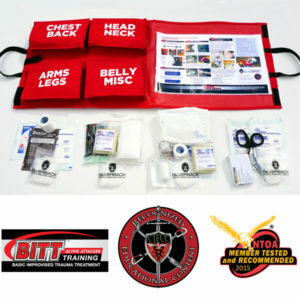 This kit comes with commercial gear to treat numerous wounds on multiple patients. The pocket gussets were purposely designed larger so as to add in more commercial or improvised gear. The contents in each pocket will treat the wounds on those body areas. But, keep in mind much of the supplies are multipurpose and will also be very effective in multiple wounded areas. 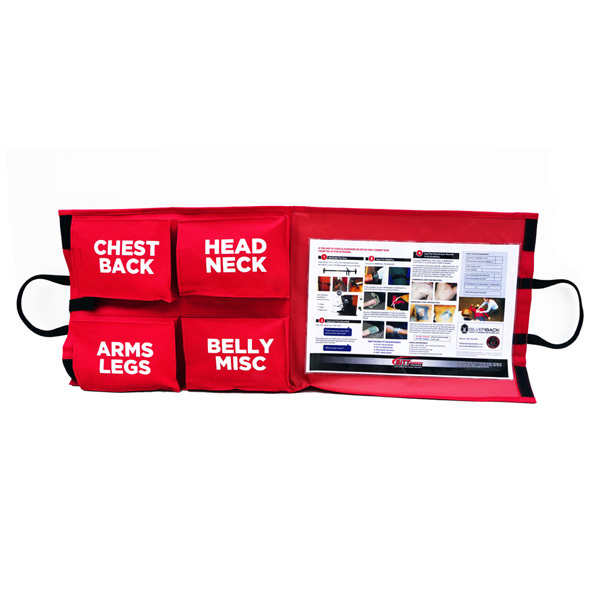 ENORMOUS FRONT POCKET containing Emergency Operations Templates, Injured vs non-injured card (red/green), tarp and mutiltrauma dressing with PLENTY OF ROOM to store additional equipment per user preference. Large poster with step by step directions walking the user thru the treatments following proven protocols and guidance for communication with outside EMS.